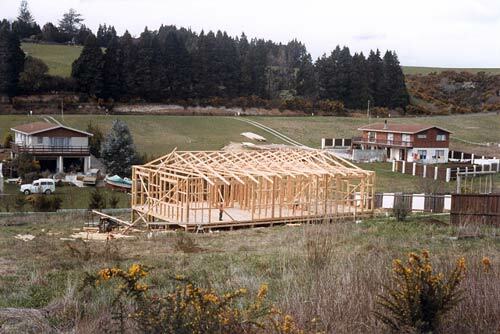 Since the 1950s radiata pine has been used as the framework of most New Zealand houses. With the exception of a period between 1990 and 2004, the timber has been chemically treated to guard against boring insects, fungal decay, or both. In the 1990s some houses were built with radiata pine that had been kiln-dried but not chemically treated. This practice was discontinued in 2004, when it became apparent that the timber was not durable if it became wet.